CEO/Founder of @swix. Co-Founder of @shopify.com. Experience in leading consumer and enterprise web-app companies. 10 years of startup experience. Founder Sprouter (acquired '11) & BetaKit (acquired '13) Co-Founder / Managing Partner at BrandProject. Inc Magazine Top 30 Under 30. Entrepreneur turned VC. Serial Entrepreneur. Recently: Big Viking Games/co-founder/ceo, Kontagent/co-founder (Analytics). Sold: @bubbleshare (Disney), MyDesktop (WebMediaBrands). COO @500px | Formerly at @extremestartups @relay-ventures @chegg. @netflix. @thomas-weisel-partners. @goldman-sachs. @accenture. | @ChicagoBooth @university-of-california-berkeley. CEO, @business-instincts-group:Strategic Planning system. Chairman, @podium-ventures:Builds Startups from A-Z. Author, SustainableStartup.com:Startups that last. Cofounder of StartupNorth (@startupnorth), Captual (acq by @desire2learn). Seed investor in GoInstant (acq by @salesforce) and more! Marketing technology entrepreneur, CEO of @influitive, co-founder of @eloqua. Entrepreneur. Partner/owner in several businesses, looking to invest in start ups. Founder & CEO Wave Accounting. Wikipedia says I'm "King of the Hipsters," but really I'm co-founder and COO of @interaxon, a user-experience focused thought controlled computing company. Director, Creative Destruction Lab @ Rotman; Founded, @tribehr; big fan of the Waterloo/Toronto community; built VeloCity; like early stage startups + Canada. CEO Brick Street Software. EVP/CTO KANA Software. co-Founder / CTO Rubric Software (sold to KANA). @carnegie-mellon-university CS PhD. MIT VI-3. Former lispm hacker. CEO of @fan-si, CEO of @hitgrab Inc., CEO of @social-stork Inc. High-school drop-out. Toured in a rock band for 4 years... straight. CoFounder, CEO @hub ∙ Worked at @microsoft ∙ Founding Team Vortex Connect (enterprise mobile acq '12) ∙ 10 yrs product design & dev. Founded two startups: GCI Network out of Mumbai that operates in the giftcard space, and PowerStores a SAAS do it yourself digital commerce platform for SMB's. Ceo and President of About Time Inc , a distribution company which we grew to over 100 million in revenues WITHOUT giving up equity. CoFounder + CEO at @upout. 1st startup in high school: online bar coupon subscription. Strong UX experience with 80+ websites and apps built. Founder of Checkout 51, a mobile app reinventing the coupon industry. Past founder of GigPark (sold in 2009), Dose (Canadian media co.) and Rethink (agency). CEO & Co-founder @uniiverse, the social marketplace for events. Top ranked analyst at @bcg and @credit-suisse's tech practices. Rock climbing enthusiast. CEO & President at Uniiverse - the social marketplace for events. Entrepreneur. Spearfisher. CEO Wonga Canada. Formerly CEO of Viigo (acquired by RIM in 2010), Founder & CEO INEA (acquired by Cartesis in 2005). Co-Founder @upverter, worked at TrendHunter and IDT. Computer Engineering at UWaterloo. Director at @shopify. Previously Co-Founder at @jet-cooper (Acquired in August 2013). Social/digital media executive with startup/agency/brand experience. Last position added 20MM in revenue and led industry in digital marketing. Founder of Checkout 51, GigPark and Dose. Current: Country Manager, Zomato Canada. Past: CEO & Founder, Shifthub • Lifelong entrepreneur. Tech. Apparel. Retail. Distribution. CEO & Co-Founder of DomainAgents Platform. Strong track record creating and operating startups internationally. Currently @bundle-manager. 12 yrs software sales & professional services at RIM, SAP Business Objects, Arthur Andersen & acquired startups Viigo & INEA. Geek in stilettos. Co-Founder & CEO of @onboardly. Traveler. Tall. Canadian in San Francisco. CEO & Founder of @opencare. Entrepreneur with a track record, expert in healthcare - founded & exited @simms (diagnostic SaaS) & @cardiotrust (cardiac clinics). CEO & Co-founder of @massive-damage, Inc. Also Co-founder and former CEO of @endloop Studios. Helping @founder-collective back great people. Founder @kera • Studied at @university-of-toronto. Passionate practitioner of Customer Development. Founder/CEO of iQ Food Co. moonlighting as a tech investor. Geek turned entrepreneur. COO & Co-Founder @ Askfortask.com - website where Canadians outsource daily errands and tasks to people in their neighborhood. Founder @sandglaz • Studied at @mcgill-university. Love beautiful code and great UI/UX. Plays piano (love play Rachmaninoff). @storybird CEO. Built & sold 3 companies since college. Had a kid, then built products & services for Nike, Starbucks, and @apple. Back to building my own thing. Founder of Tripzaar. Brought previous startup @goosechase to 6 figure revenue. [email protected] and @polar-mobile, @university-of-waterloo Alumni. Founded and built @sandglaz. Strong technical background. Software consultant and agile project management experience. Comp B.Eng from @mcgill-university. Founder @kanary. @seedcamp alumni, making data work for smarketers. doing stuff. making stuff. helping others make stuff. Co-founded @tradyo, winner venture of Next36. Software engineer. business analyst at Guildwood Capital. B.Sc. in Computer Science & Economics, UofT. Action oriented entrepreneur with 2 successful exits in the last 6 years. Product Management expertise coupled with strong engineering background. 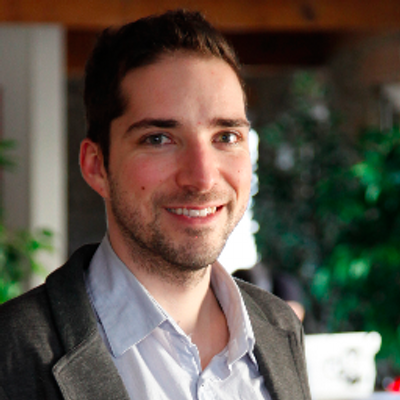 Co-founder of @pumpup; BBA @wilfrid-laurier-university; Former Marketer at @unilever, @pepsico and @ConAgra Foods. BoardSuite secure Equity Crowdfunding Infrastructure Platform (CFIP) to help equity portals, companies organize, manage and share confidential information. Founder and CEO of Switch Video. Producers of more then 300 videos. Clients: Microsoft, IBM, HP, Cisco, Unisys, AMEX, Salesforce Rypple, EO, World Bank. Growth & Product Manager. By 24, exited 1st company & reached Director-level at a 70-person venture-backed company. LLB by 20. Swiss army knife. Driven. Founder and President at Linkitz. COO at Crowdmark. Formerly at MaRS Innovation, UTEST. Multiple C-level positions. MIT SB, SM, PhD in Computer Science. Product Management expert with 8 years of experience in healthcare informatics field and strong technical background. MBA degree, technical background. Experienced management professional. Founder: @coin-macro, @unamee-inc-2. Worked @wolters-kluwer. @hec-montreal MBA. Professional accountant. Cofounder and president of two successful media companies, TVI and CMR 101.3FM. Help build and mentor number of university based startups. - M.B.A. & Eng. CEO of @epilogger. Well-known Digital Strategist & blogger. Strong biz backgrnd. Edited book on Digital Dist. (Columbia U). Brought MobileTREC to nat'l adoption. CEO of @digital-journal and CEO/co-founder of Future of Media. Digital media/user-generated content pioneer. Social and digital advocate. Serial entrepreneur and advisor to investors and startups. Founder/CEO Carbonetworks, iVeridis, TCR Innovations. Patner at NorthBay. Multiple start-ups. Worked at MIT (Broad Institute). Strong technology background. Angel investor. Owner of @bizlaunch-com - we train entrepreneurs through our webinars, seminars and quality content. CEO and Co-founder of Crater. I will continually dedicate my life to minimizing the distance between ideation and creation. Life is the only education you need. Director of Marketing @uberflip. Background in marketing, product, strategy and ops. CEO at @tunezy. Worked at @cibc-world-markets, @merrill-lynch, @clinton-foundation and @microsoft. Former founder of internet's largest sheet music community. Event Inventor at T+H Events, Marketing Manager @theworkinggroup, on the @startupwkndTO organising team. Co-Founder of Knack Registry. Product Manager (@microsoft, Blueprint Systems), with Strong Product, and Technical (MS Columbia, BA @pomona-college College) background. Founder of FanCrank, and fan of all things good! Founder @cover • Did work for @microsoft, @visa and many others over the past 15 years. President at 411 Local Search Corp. Co-Founder @cloudexchange. Former Wealth Management @raymond-james-financial and Musician @universal-music-group. Founder K Network • Teacher • Studied at @mount-allison-university, @queen-s-university. Debate coach, bad chess player. Stubborn do-gooder. Marketing & Strategic Alliances at Nano Magnetics. Commercialization ninja. Seneca Business Grad. Guinness World Record holder. Former VP of IT @PorterAirlines (Canada's 3rd largest scheduled airline) Entrepreneur; Deloitte Alumnus; Tired of status quo in transportation industry. Founder @woof • Studied at @stanford-university, @wharton-school, @guelph. Building more intimate relationships for dogs, their parents and local dog communities. Founder & CEO of @kiinzel. Born and raised entrepreneur. Co-Founder/Head of team @crowdhelps. Experience: [email protected] and @helloru, Admin/QA extraordinaire @causecart. Founded first company at age 23. Ran a successful digital marketing firm for 12 years. Strong product development background and technical expertise. Co-founder & CEO @seamlessmd. Physician with expertise in hospital readmissions. Business Analyst by Day; Start-up evangelist by night. Director of Awesome @beaconize; where I bring together smart people to solve unique problems. VP, Product and Technology Strategy @cossette-lab & lead Toronto Lab. Worked @critical-mass, @organic, @ddb, @mars-discovery-district . Founder @homewire. CEO & President of boutique investment banking firm. Focus on Capital Raising, Debt Advisory and M&A for small and mid-market companies. Founder at Quandl, the search engine for data. Former bond trader. BTech IITB. Interested in markets, technology and their intersection. Data geek. CEO and Founder of Groovie. CMO and Founder of Dingo Mobile (acquired September '12). CEO of HealthWizer. Disruptive Health & Bio-tech Enthusiast, Transhumanist and Tai Chi Practitioner. First tech startup at 16, funded by the Ontario Govt. Developed social strategies and technology for multiple coorporations, awarded the fbFund in 2009. Founder @instant-chemistry, @university-of-toronto Engineer & MBA, @medical-devices R&D background. Enjoy tackling big challenges. An aspiring astronaut. CEO, Co-Founder of Moment.Us. Licensed Professional Engineer (PEO). Rotman MBA 2009. PhD candidate at Manchester Business School, DJ and music producer. Founder of Socially Collaborative Media, Inc. Have worked at the edge of media/tech startups since 2001. Serial entrepreneur. Blogger. Foodie. Lover of life. An entrepreneur and product innovator with over 10 years of experience in successfully leading products to market. CEO and Founder of @voices and @glassly. Member of the C100 and CommuniTech. Alumni of the @cta. Current nominee for E&Y Entrepreneur of the Year award. Co-Founder of QKD corp. Postdoc at MIT. Expert on quantum secure communication. Founder, @dracogen-strategic-investments. Co-Founder and CEO, @xe-com-inc Co-Founder, Director, and Investor, Wifarer. Director and Investor, @bet-smart-media. Founder Projexity • Studied at @university-of-pennsylvania @university-of-delaware. Six years of experience in landscape architecture + urban planning. Co-founder @ Roadmunk. Co-founder @ Pokerspace and Product Manager @ Miovision. All things startup and product. Program Manager @communitech-hyperdrive @communitech. Founder @shield-diagnostics , @unbound-books. Engineer from @UofWaterloo. Co-Founder of @classvantage with a successful exit of my first startup — Cadee. I have experience in bus dev, marketing and customer support. Founder @logistadvise Worked at Penske and C.A.T. Logistics. MBA 2014. Ambitious, tireless work ethic and obsessed with logistics. Built and sold a digital content business. Founded influencer marketplace Influicity, transforming the world of video influencer marketing. Founder @trendmd-inc-1, Clinician-Scientist in Psychiatry @university-of-toronto , business background @mcgill-university. Published in NEJM, CMAJ, etc. Co-founder of @locawoka. Seasoned Management & Technology Advisor. Crowdsourcing Advocate. Self-Empowerment Fan. Aspiring Writer. Founder of Friendefi. Expertise: loyalty industry, product and business development. Worked at Aeroplan (AIMIA), Air Miles (LoyaltyOne), Star Alliance GmbH. COO and Co-Founder at @uberflip, Randy wears many hats including strategy, operations, sales and execution of Uberflip's solution. Schulich MBA 2006. Education: BA Sales and Marketing graduate. Sold over 30MM+ in tech products and 50MM+ in real estate. @sundaybell-1 is going to surpass both combined. Founder Modastic Groupe • Mathie at @university-of-waterloo. Worked at @caijing, @deutsche-bank , @bmo-capital-markets . Founder and co-CEO of @ingamer. Digital Media professional & Sports expert. Co-founded @visionary-igaming, a live online casino provider, in 2008. Founder & CEO of @finizi, former banker, featured in several publications (Financial Post, Investment Executive, etc. ), Schulich School of Business BBA. Director of moniSuite. Previous start up experience. Banking & payments thought leader; senior executive positions globally @ Citi, IBM, @accenture, FIS Global. I love to visualize, create and change things. Always connecting with bright, interesting people makes my life so wonderful. Co-founder of @49st-technologies-corp Early employee at Cryptologic. PhD in Chem Eng'g (@university-of-toronto). Co-Founder of CrowdLinker.com • Entrepreneur • Passionate about solving problems through great user experience and design. HBA from @university-of-toronto. Entrepreneur. Angel Investor. VP Product & Marketing @sitescout (acquired '13). Co-founder @toyotanation (acquired '06). Engineer. Father. Archery Coach. Startup Advisor. Social media & mobile technology consultant. Building technologies that will rock your social future. Founder of @feedseed. Experienced investor and entrepreneur. Finance guy who left the street. Founded @speak-telecom, acquired '08. MFIN @queen-s-university, BA Hons UWO. Co-Founder of @cryptiv @market-clouds-1. Financial market junkie. Biz dev. Stock and options broker. Trader. CEO ConferenceChecker. An innovative thinker and networker extraordinaire–deep roots in the conference industry on both the attendee,advisor and organizer sides and in the Life Science industry. Driven is a startup program designed to accelerate young minority led startups in the digital space. CEO - Have built and sold several companies, currently building the next big one. Co-founder @clayza. Serial entrepreneur. Degree in Media Studies. Passionate about the merging of art and tech. Amateur rockstar. Founder @Karmagaming . Serial entrepreneur with strong track record of success. Top 40 Under 40 recipient in Canada. YPO member. Chief Gaming Officer & Owner @RevoltServers + Co-Founder at Modde | I am a creative, passionate young entrepreneur from Montreal. Founder at Koge Vitamins. Former institutional equity sales analyst at Sprott Asset Management. 10 years of experience in the nutraceutical industry! Founder & CEO Xtreme Interactions, strong techno commercial background, numerous innovations, $500M+ in new bus dev, and prestigious math and physics awards. Co-Founder and CEO of Find My Itin. 4 year consulting background. PMP. Passionate about travel and photography. Founder @2life Corporate commercial lawyer and legal editor. Assisted in business start-ups. Active volunteer in child-care and education. Founder of Foobli & Tworp. Experience in Business Consulting & Business Plan Development. MBA (2014) - Majoring in Marketing, Strategy, & Brand Management. Co-Founder of FundMetric. Marketing expert with strong background in charities and fundraising. Interested in fundraising, marketing communications, statistics. Founder of @made-with-magnolia. Gemini award-winning digital producer. CEO of Kimberfire. Previously diamond industry manufacturing, business development and wholesale, followed by resources investment banking. Co-Founder/CEO @yunite ; Grad school dropout; Retired national team athlete. Building my own adventure. Multitude of business development experience in various fields. Passion for technology in general, mobile technologies in particular. Masters in Management 2013 UCD. University of Toronto HBA graduate. Founder/CEO of SportsEh. Changing the face of Canadian sports.Think Rivals meets Yardbarker. Co-Founder and CEO at @adjuno, Former medical researcher at The Hospital for Sick Children. Founder @artisana • Studied at @university-of-western-ontario / Developing e-commerce in South America. Founder of soundsLARGE. The very first electronic music discovery platform. Users on soundsLARGE can discover music as well as read & learn about it. Co-founded in 2006 by Frank Svatousek, Carta Worldwide operates at the convergence of payment systems and technology. Dad. African. Co-Founder & CEO - @willstream Labs. Co-Founder Whopaid.it, Co-Founded Shoy.com, Alum Student Brand Manager at Red Bull. Good with people, words and obstacles. No-nonsense, creative and lean. Worked at @nestle • Strong business background. Richard Ivey School of Business HBA 2013. Co-Founder & President at @twohoursnorth.com. Founder Blibbing.com. Just a guy trying to build cool and exciting products. Strong digital media entrepreneur in the natural health industry. Founded Synnergy Group Inc. Studied at @LaurentianU and @BondUniversity.